For a long time now there has been a dispute between the relationship that exists between social media and SEO rankings. The truth is activities from social media impact rankings in a number of ways. High SEO rankings of a particular site translate to huge traffic to that particular site. Today we share this relationship as well as its impact. The question whether Google considers links published on social accounts to be credible back links is one that has been around for some time now. Also, when a post goes viral on social media, do the new links improve the post’s search rankings? Marketers actually have it that links to a site do have a great impact on its rankings. Links to the content on any social media platform aid search engines understand that websites are truly credible and that they should be for what keyword phrases. According to Bing, they do take into account the number of times a link may have been tweeted or retweeted together with the authority of the users of Twitter who shared the link. Google does crawl social sites for data in a similar fashion they would to any other website in their web index. Whereas the authority of a social media page does not really impact on its search rankings, the published links on social accounts could be identified as credible backlinks and as such have an impact on a page’s rank. Be sure to keep up to date with IoT changes within your business. While social media links may or may not boost your search rankings, the profiles from your social accounts most certainly influence the content of your search results. Actually, the profile of your social media account is one of the top results in search engine listings for brand names. As compared to websites, social platforms feel more personal and are the best way to realize the personality of a company. When researching a company people have not much information about, they are most likely to go to the Twitter or Facebook pages of that particular company which is more or less the same as clicking on their website. Some active social channels can make the experience of knowing your company’s brand on the internet more personal, fun and more engaging. So for these reasons, it is very important that companies maintain up to date information as well as engaging content. It is important to understand that SEO includes the search that takes place on social media search engines. Company brands that lend themselves to amazing visual content can greatly benefit from making their content visible in platforms search as Pinterest and Instagram by using hashtags and categorizing their pins properly. Brands ought to expand their concept of Search Engine Optimization to include not only the traditional search engines but social search engines as well. Social media marketers should ensure that users find it easy to find their official social pages. This could mean that they delete duplicate profiles or clearly label their social profiles so that users clearly understand the purpose that the companies serve. Here are some of the ways you can easily get likes on your social media posts like Instagram. What Bing does is that it looks at the number of people whom you follow and how many followers you have. This can improve the listing of a company in regular search results. Bing is the second most used search engine after Google and its market share growing steadily, company brands should include Bing in their SEO strategies. This is a review website that focuses only on the investigation and evaluation of online writing services. They are reliable, have high quality and produce original research and writing. For companies that are looking to have high content that will see them secure top ranks in search engines, they should consult. When reviewing websites, Top WritersReviews look into every aspect of writing service from the site of its content to its policies and guarantees, to the quality of its products, to transparency and meeting each customer’s needs. When they rank a website as the best, they actually mean that it is among their list of top writing sites they have reviewed. Rankings are as a result of something and not really an action. Some of the biggest search optimizers are so active on social platforms because they understand the value of indirect benefits. Each aspect of modern marketing is focused on relationships and this includes search. Relationships are built on social platforms. To sum it all up, we can conclude that social media activities are indeed important when it comes to SEO ranking. Content marketers should pay much attention towards the creation of worthwhile content and keep their information up to date. 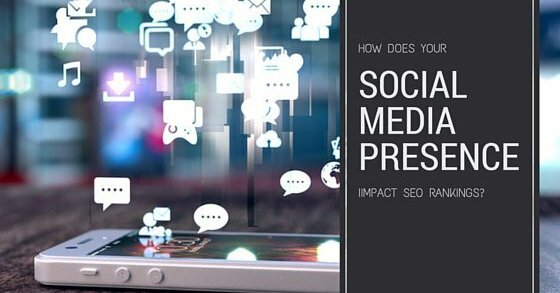 The impact of social media is as important as the impact of websites when it comes to SEO rankings. About the Author: Janet Anthony is a blogger from Kansas City who has been writing professionally for five years now. She mostly writes about web design, SEO, digital marketing, and internet marketing. Her motto is “What you do today can improve all your tomorrows”.